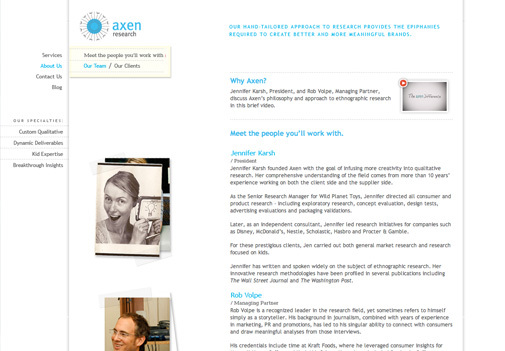 Axen Research was founded with the goal of infusing more creativity into qualitative research. 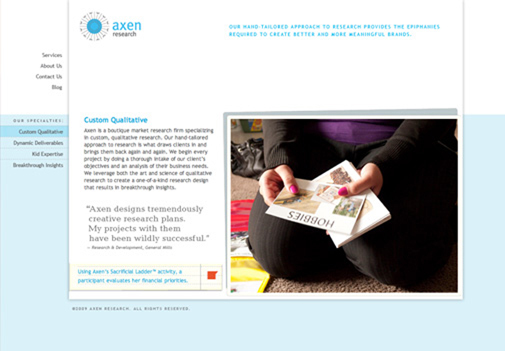 Using ethnographic/documentarian techniques, Axen has developed a hand-tailored approach to research which sparks the epiphanies that help clients create better and more meaningful brands. 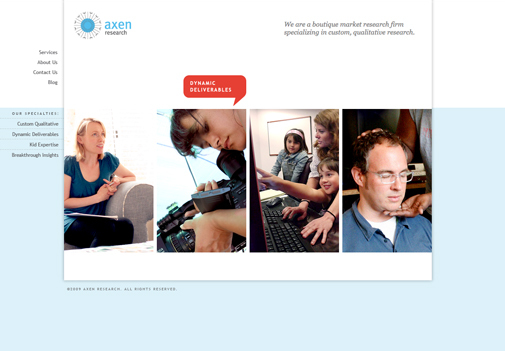 Axen asked Elephant to design a website which expressed their approach to research and clearly and succinctly outlined their value proposition for clients. The website balances dynamism with ease of navigation.